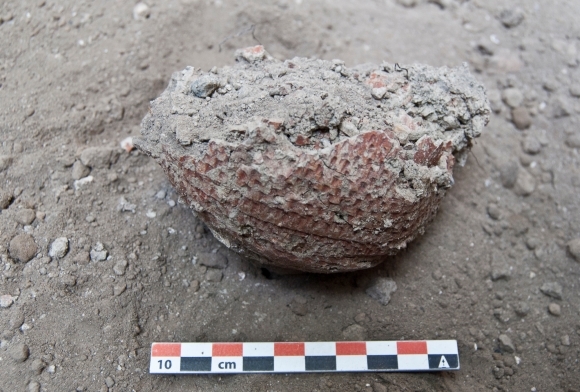 Raw clay vases were first found in 2012 during the excavation lead by L. Cavassa (Centre Jean-Bérard/Centre Camille-Jullian, CNRS) outside Porta Ercolano. New fragments were found in the second workshop in 2014, which led to a mention in the new section of the Soprintendenza site, Scavi e ricerche: "La bottega del vasaio sulla Via dei Sepolcri". A more detailed version is available on the CNRS/INSHS site. 2012 interim report mentioning the raw clay vases was published here, 2013 interim report there. The 2014 interim report is forthcoming there.